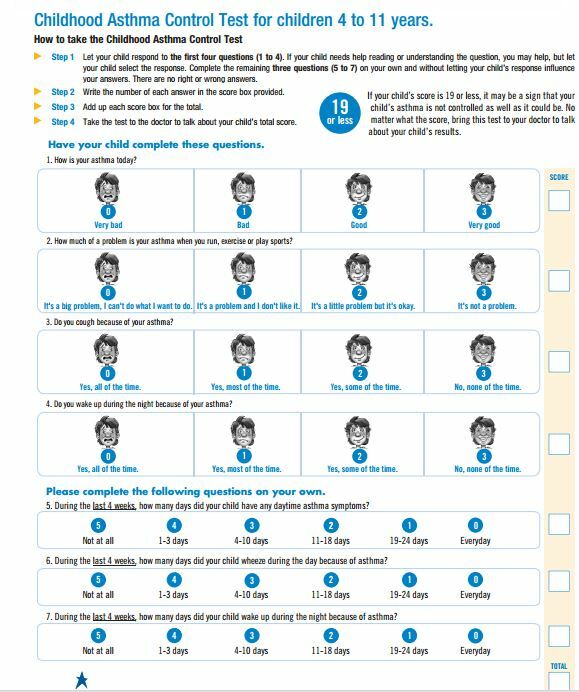 The Asthma Control Test is a questionnaire that can be used to follow a patient’s asthma symptoms at each visit. 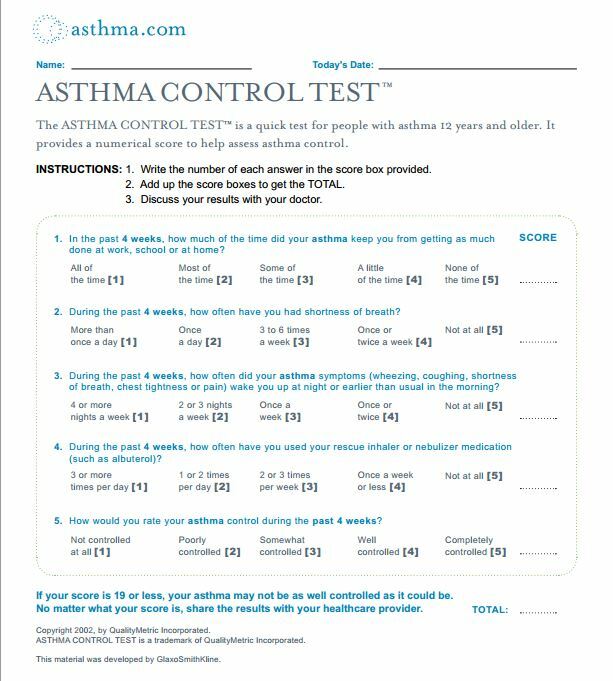 Here is a copy of the Adult Asthma Control Test that you can take online and, if you want, print out a copy to take to your doctor. The Childhood Asthma Control Test is for children from 4 to 11 years of age. This is the link to the online version for your child. You can, if you would like, print out a copy and take it to your doctor. This entry was posted in Asthma, Guidelines, Internal Medicine, Medical News, Pediatrics, Pulmonology. Bookmark the permalink.